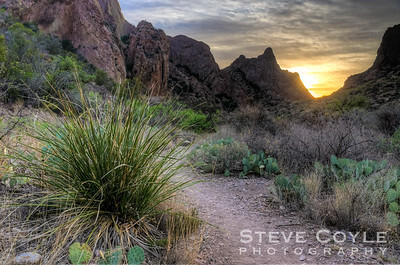 If you've ever hiked the Windows trail in the Chisos Basin at Big Bend National Park at sunset, you probably recognize this scene. If you haven't I highly recommend it, but take a light for the walk back to the trailhead at the campground and be on the lookout for mountain lion and bear, as both have been found in this portion of the park. 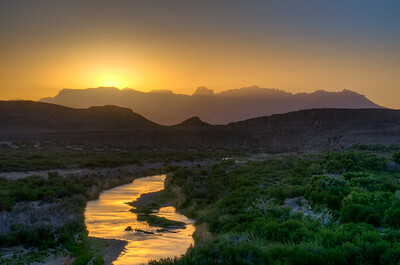 The Rio Grande picks up on the last rays of the sun as it sets behind the Chisos Mountains. 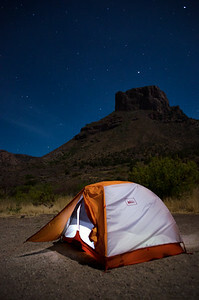 Sleeping under the stars and Casa Grande in Chisos Basin in Big Bend National Park. 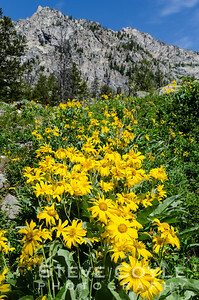 Along the hike to Inspiration Point in Grand Teton National Park. 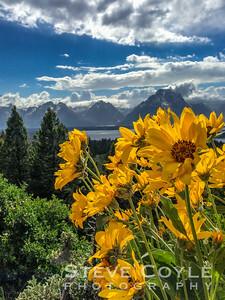 On top of Signal Mountain in Grand Teton National Park in the early summer. This shot is also on the cover photo of my premium calendar that you can find at http://www.lulu.com/spotlight/stevecoylephotography. Paying homage to what is probably the most photographed barn in the US. The T.A. 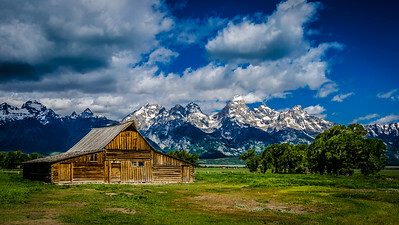 Moulton barn in Grand Teton National Park turned 100 last Saturday. The park had a big celebration honoring the birthday. Wish I could have been there for the festivities, but we were there a month to early. 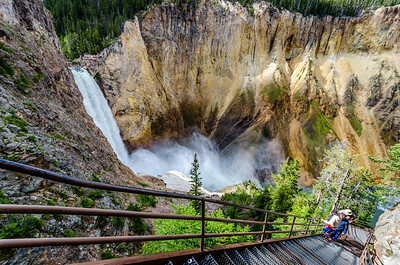 Looking down the metal staircase that forms Uncle Tom's Trail to the bottom of the Grand Canyon of Yellowstone can be quite dizzying. This descent is not for those with a fear of heights. 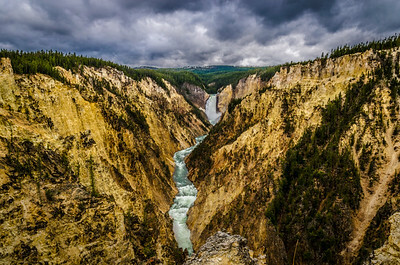 The park also discourages visitors with a heart condition from attempting this descent as the ascent can be a real killer. Even though Hot Springs National Park was closed due to the government shutdown, the bathhouses were still operating. My wife and I were able to enjoy the facilities in this one while we were in Hot Springs. All I have to say is if you're ever there, you gotta try it. I know now why it's been so popular for so long! 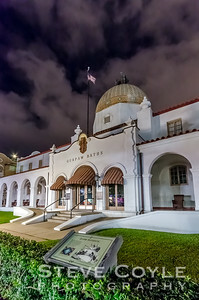 The Quapaw bathhouse was built in 1922 in a Spanish Colonial Revival style building of masonry and reinforced concrete finished with stucco. The most striking exterior feature is the large central dome covered with brilliantly colored tiles and capped with a small copper cupola. The building's use as a bathhouse ended in 1984 when the last contract ended. A new lease was signed with the National Park in 2007 and the Quapaw Bath house reopened as Quapaw Baths & Spa in July 2008. 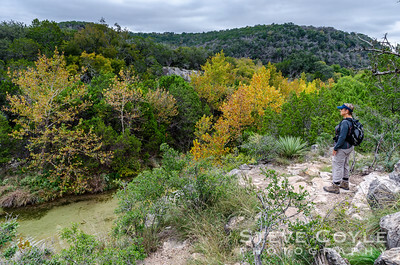 Enjoying the view and touch of fall colors at Colorado Bend State Park. One of the things I love most about the Texas Hill Country are the clear running streams. You can often see the bottom, no matter how deep they may be. 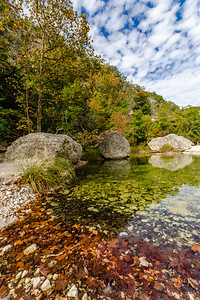 Along the East Trail at Lost Maples State Park, there is such a pool of water. Even in this multi-year drought that has dried up much of the Sabinal River, there are still pools of water like the one in this photo. So inviting, and the fall colors only add to it's draw. I posted a shot of this scene from Huntsville State Park earlier this week that I took with my iPhone. Although I liked the iPhone photo at the time, and it was all I could post from the park, this is the shot I took with my DSLR that really shows what I remember the scene looking like on Monday morning. It's also the way I want to remember that moment at the park with smoke from the campfires in the area and the trees on the west side of the lake captured in their early morning glow. 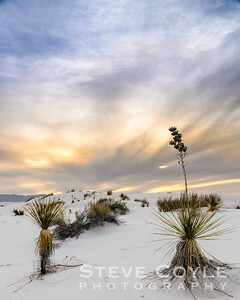 Sunset at New Mexico's White Sands National Monument. Seemed like a nice photo to share on a rainy Sunday morning. 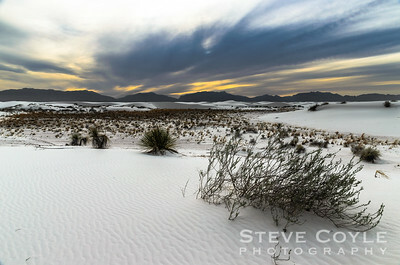 Another shot from our trip to White Sands National Monument in New Mexico last year. 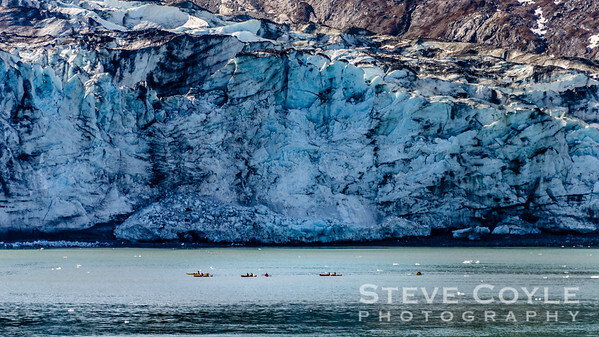 We saw these kayakers at the Lamplugh Glacier in Glacier Bay National Park. If I am ever able to go to Glacier Bay National Park again, kayaking the glaciers is definitely something I'd like to do. They refer to this glacier as Lampblue because of it's striking blue color. Seeing the kayaks in the shot really gives you a great idea of how immense these sheets of ice are. Sadly they are very small compared to what they were 150 years ago at the end of the 'Little Ice Age'. 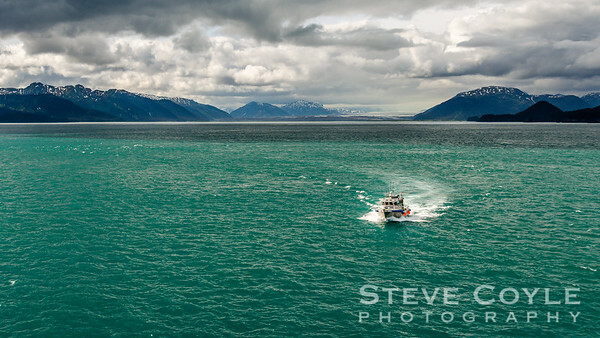 As we prepared to head to our next Alaskan cruise destination, the Park Service comes to retrieve their coworkers that spent the day on the ship telling us about the various glaciers in Glacier Bay National Park. Seeing Glacier Bay was definitely on the bucket list of places I wanted to see. If I ever get the chance to go again, I hope to be able to spend more than a few short hours during the middle of the day. 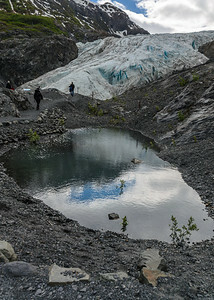 I liked the symbolism of this shot showing Exit Glacier in Kenai Fjords National Park reflected in a pool of water. 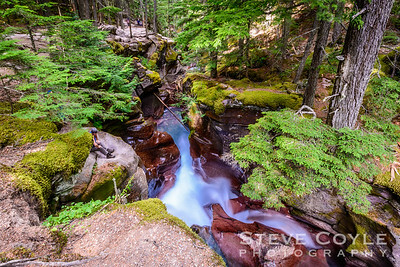 The falls along Avalanche Creek in Glacier National Park. We went on a ranger led hike to Avalanche Lake and passed by this creek on our way to the lake. I was trying to keep up with the group on the way to the lake, so I wasn't able to stop for long on the way up, but on the return I stopped and took my time getting my shot. This was one of the shots I made that I really liked. I wish I knew who the woman was that did not move at all during my long exposure of the falls. I guess she was as awestruck as I was at the incredible beauty of this scene. I couldn't get over how blue the water was as it cascaded through the red rock it had carved. 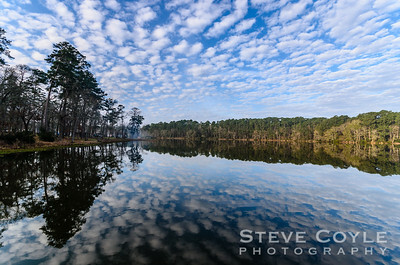 The only way to see this scene from this vantage point is to be on the lake itself as we were that morning. 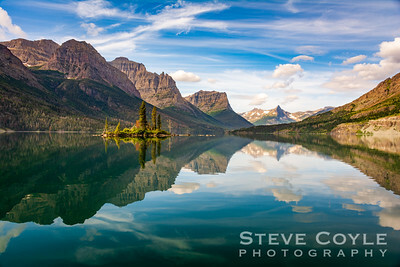 We were on one of the Glacier Park Boat Company's boats on St. Mary's Lake when I made this shot. When we had first started on our lake adventure that morning the water was rough and choppy, but as we neared our destination the water flattened out and became a mirror. I made this hand held from the front of the boat. I took lots of shot of this scene, but I liked this one the best with the little island off to the left and the morning sun reflecting off it's trees. Out of all the images I made over the week we were in the park, this was one of my favorites. Makes me want to go back every time I look at it. 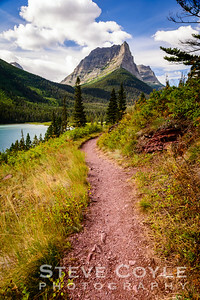 The mountains are calling and I must go - John Muir. Getting ready for another mountain and national park adventure. Not back to Glacier NP where this shot was made, but off to the top of Texas in Guadalupe Mountains NP with my buddies Jay Blasing and Fred Sherpa. I am ready to be on the trail again!